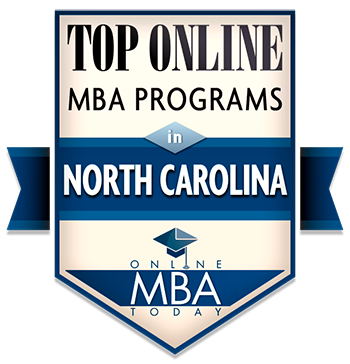 GREENSBORO, N.C. (July 13, 2018) – In its latest ranking of top online master of business administration programs in North Carolina, Online MBA Today has ranked North Carolina Agricultural and Technical State University’s program No. 3, behind North Carolina State and the University of North Carolina at Chapel Hill and ahead of Duke University. Online MBA Today ranked the top 10 programs using equally weighted categories of estimated tuition cost, accreditation, average base salary of graduates and prestige. Scores are averaged and calculated on a 100-point scale, creating the OMBAT Ranking Score which determines the ranking. Information for score calculation was gathered from the institutions, accrediting bodies, the 2018 Best Business School ranking from the U.S. News and World Report, the U.S. News and World Report’s Online MBA ranking, the Princeton Review’s Online MBA ranking, the Financial Times’ Global Online MBA ranking and Quacquarelli Symonds’ Distance Online MBA ranking. N.C. A&T offers three concentrations for the online MBA – general MBA, human resource management and supply chain management. The College of Business and Economics has been accredited by the Association to Advance Collegiate School of Business (AACSB) International since 1979. The accounting program earned its AACSB International accreditation in 1986. More than 90 percent of the fall 2016 and 2017 classes received job placement ahead of commencement. A&T MBA graduates found employment with companies such as International Paper, Volvo Corporation, Shell Oil, Rubbermaid, the Federal Bureau of Investigation and John Deere. Graduates have also been accepted to some of the most competitive Ph.D. programs in the nation.